The Blackwater Elite could only muster one win last conference. They already match that win total in their first game this new conference. They knock down the TNT KaTropa in a gutsy overtime win to earn the win. Allein Maliksi led the team with 28 points and nine rebounds. Henry Walker scored 23 points and grabbed 14 boards. The Elite played well to stay in step with the more talented KaTropa. They pulled ahead by seven points with 4:40 left in regulation when when Raymar Jose scored on a layup inside. Just when it seemed like Blackwater had control of the game, TNT came roaring right back. Jayson Castro scored five points in a 7-0 run to lead his team to tie the score. Castro scored two freebies to give TNT a four-point lead. But Blackwater leaned on back-to-back baskets from Mike DiGregorio and Walker to tie the score at 86 with 37 seconds left in the fourth period. The game was headed to OT. In the extra period, Maliksi took over. After Nard Pinto opened OT with a big three-pointer, Maliksi scored five straight points to give his team a five-point lead. The KaTropa pulled to within four points but Maliksi nailed a free throw and added a dagger jumper to extend the Blackwater lead to seven points. That was enough cushion to hold off TNT. 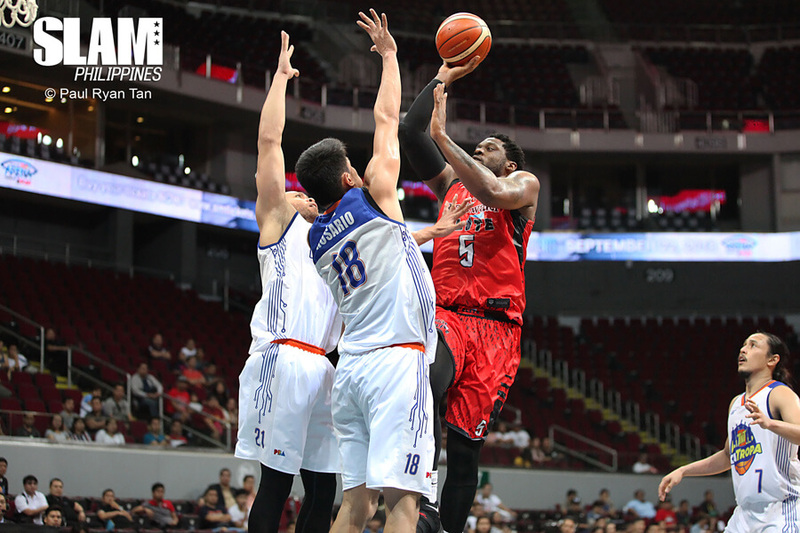 The Alaska Aces started their new era with a big win over the Meralco Bolts. Playing without Calvin Abueva for the first time in six seasons, they leaned on a strong defensive effort and the scoring of their import Mike Harris to pull out the win. Harris scored 23 points and grabbed 15 rebounds to lead the Aces to their first win. Meralco was coming off a rough loss and were looking to bounce back in this game. The Bolts held a seven point lead heading into halftime. They slowed the game down to their pace and limited Alaska to just 33 points in the first half. Alaska bounced right back in the third quarter. 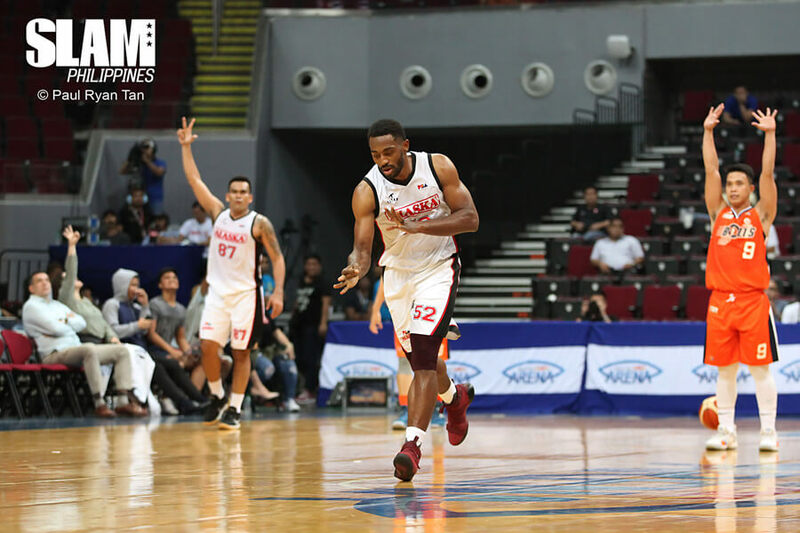 Harris powered Alaska to a 28-point third quarter to take over the game. Harris scored four straight points to open the third period and continued to pour on the points. He scored on a layup inside to tie the game and nailed a three-pointer to give Alaska the lead. With harris leading the way, Alaska was able to extend their lead to as high as 15 points midway through the final period. Allen Durham tried to lead the Bolts to one last gasp run to try and steal the win. He scored six straight points to spark a run that would get Meralco to with five points. But Harris nailed a dagger three-pointer in the final 30 seconds to secure the win for Alaska.